The Delawana Resort is now accepting 2019 full season reservations. Our full season is May 17th, 2019 to October 14th, 2019. Book before November 1, 2018 in order to take advantage of our low introduction rates. 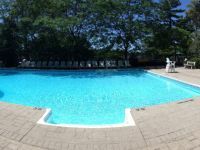 The Delawana Resorts outdoor pool is now open for the 2018, earlier than expected! Come join us at the Delawan Resort for our beautiful outdoor pool, sauna, and prime swimming beaches. We now have 5 newly renovated Beeches Suites available for the 2018 season. 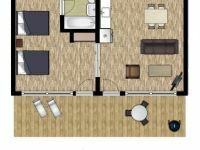 The Beeches Suites include 1 bedroom with 2 queen beds, living room, kitchenette, bathroom, and full sized fridge with freezer. 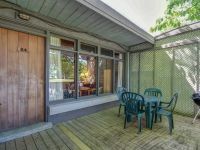 These newly updated units also include cedar ceilings, and a large deck with waterfront views. These suites have a great location near our North beach and tennis courts. The Delawana Resort is now offering some great deals through our booking system online. 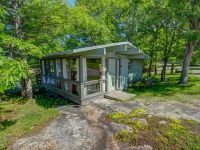 You can view these discounts and promotions online and book through our booking system in order to take advantage of these amazing Muskoka must-have offers! This page also allows you to see when the deal expires in real time with an expiry countdown so that you don't miss out. Allow the Delawana Resort to give you our best offers for 2018, and check out our new webpage today. The Delawana Resort is now accepting 2018 reservations online! Book your desired accommodation online through our website. 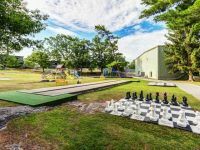 There will be new additions and upgrades to the Delawana Resort in the 2018 season. 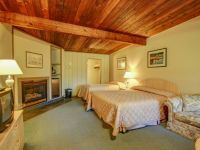 We will be adding 10 more rooms to our list of available accommodations for the season, as well as completing exterior painting projects, and finishing upgrades to many of our existing rentals. 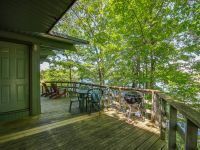 Do you love the Georgian Bay Cottage lifestyle? Come stay at the Delawana Resort for the 2018 season! Take advantage of the hassle free resort life, at a fraction of the cost. Select your desired accommodation type, including our Family Cottages, Cottages, Suites, and Rooms, and stay from May 18, 2018 - October 8, 2018. The Delawana Resort celebrates Canada's 150th Birthday! 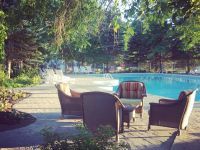 We are fully reserved for all cottages, rooms, and suites for this Canada Day Long Weekend. 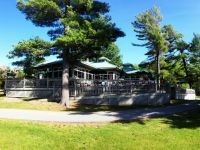 We are excited to embrace this amazing property in Muskoka to bring in another great season. The Delawana Resort is gearing up for the 2017 season, and is currently looking for enthusiastic individuals to join our team. At Delawana Resort we pride ourselves in being a team that loves to serve our guests. 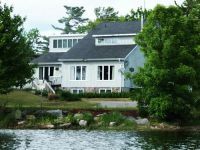 We take pleasure in providing the cottage lifestyle and Muskoka experience for our visitors. Fall is finally here at the Delawana Resort. We had a wonderful season, and would like to thank all of our amazing guests who spent their summer with us at the resort this year. Now we'd like to invite our guests to experience Fall in Muskoka with us before it's too late and all the leaves have fallen and the snow moves in. 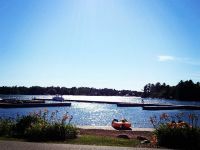 Come stay at the Delawana Resort in Honey Harbour, Ontario. 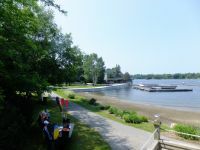 Featuring Cottage rentals, Room rentals, Suite rentals, all with waterfront access and fun activities. Enjoy these additions to our room rental selection with a view of the Tennis Courts and North Beach. Family Double unit also available! 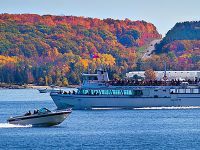 Spend your fall at Delawana for an affordable price; enjoy your favourite amenities and perks while admiring the beautiful fall colours of Muskoka, Ontario! 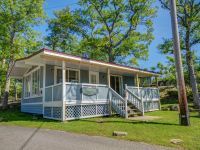 Would you like to relax on the cottage porch and watch the leaves change colour? Are you hoping to get one last fishing trip in with your friends before the cold weather takes over? Then from September 8th – October 12th take advantage of Delawana’s affordable fall rates! 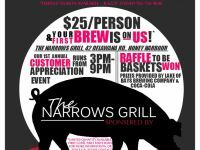 The Narrows Grill is celebrating the end to their first season and would like to thank YOU! 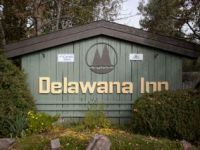 Book a room with Delawana and stay the weekend to celebrate The Narrows Grill successful 1st season! 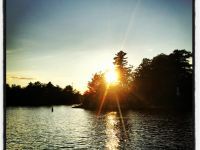 Saturday, June 27th marked the kickoff of Bass season in Muskoka! Delawana Resort is fortunate enough to have both small and large mouth Bass at the edge of our resort docks on Georgian Bay. 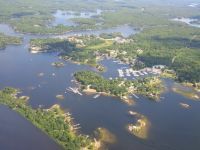 Spend your Bass fishing season in Muskoka at the Delawana Resort. 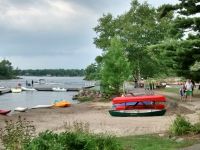 Enjoy convenient aluminum boat rentals offered at the resort, or excellent docking rates when you are staying in our cottage rentals or resort accommodations. 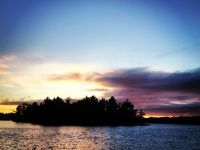 Delawana Resort staff spent the past cold Muskoka winter preparing for an exceptional upcoming season for guests! Delawana Resort is happy to announce the is now officially open for the season and kicking off with resort bookings for Victoria Day weekend! 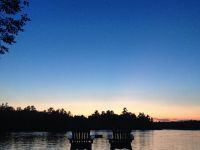 Feel free to bring your family, friends, and anyone else who would enjoy a Muskoka getaway, because spring rates at the resort are in effect until June 18! 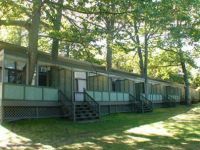 The Delawana Resort is now closed for the winter season but is happy to announce that both family cottages are available as rentals during the winter! The resort is excited to re-open in 2015 with more accommodations to offer guests, as well as additional upgrades around the resort. The boardwalk and shore wall construction at the resort has been completed by the West Beach, as many guests this summer will be excited to hear! The resort was at full capacity labour Day weekend and the Georgian Bay weather held up for guests to enjoy the beautiful Muskoka surroundings. 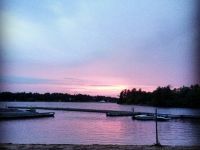 The days at the resort were filled with fun in the water and the evenings came to a close around the campfires. 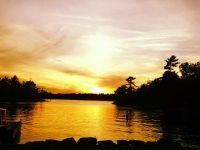 Come celebrate Victoria day at Delawana Resort in Muskoka on beautiful Georgian Bay. 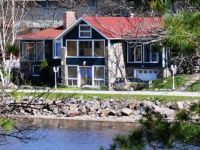 There are two cottage rentals available this year at the resort for the May Long (Victoria Day) Weekend.